The Case IH 300, 301, 302, 311, 312 Tractor Parts Manual includes part numbers and illustrations for the machine. 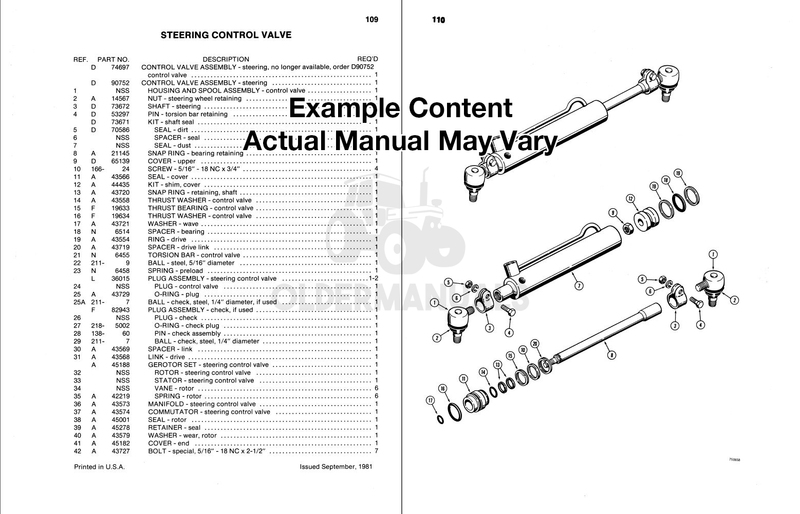 The complete parts manual was carefully reproduced from the original dealer manual and is a must for mechanics ordering parts for the Case IH 300, 301, 302, 311, 312 Tractor or seeing how systems of parts are put together in detail. The Case IH 300, 301, 302, 311, 312 Tractor Parts Manual is also referred to as the parts catalog or parts book. View the Case IH 300, 301, 302, 311, 312 Tractor parts manual on your computer or print off pages as needed.